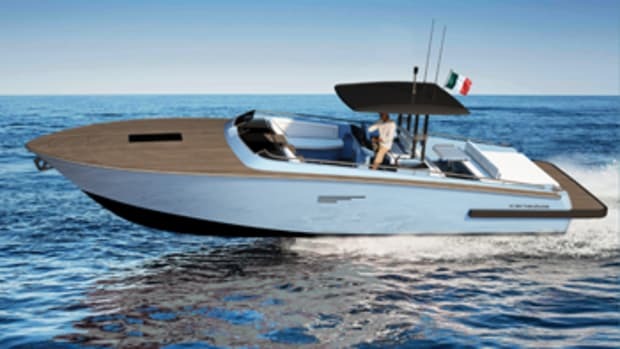 “This boat comes closest to the boat I’d actually want for myself,” says designer Michael Peters. High praise, indeed. The award-winning designer derived this production version of the Outback from a slightly smaller iteration of the same concept — lightweight with a narrow beam for its length and an open layout to enhance the owner’s adventures. 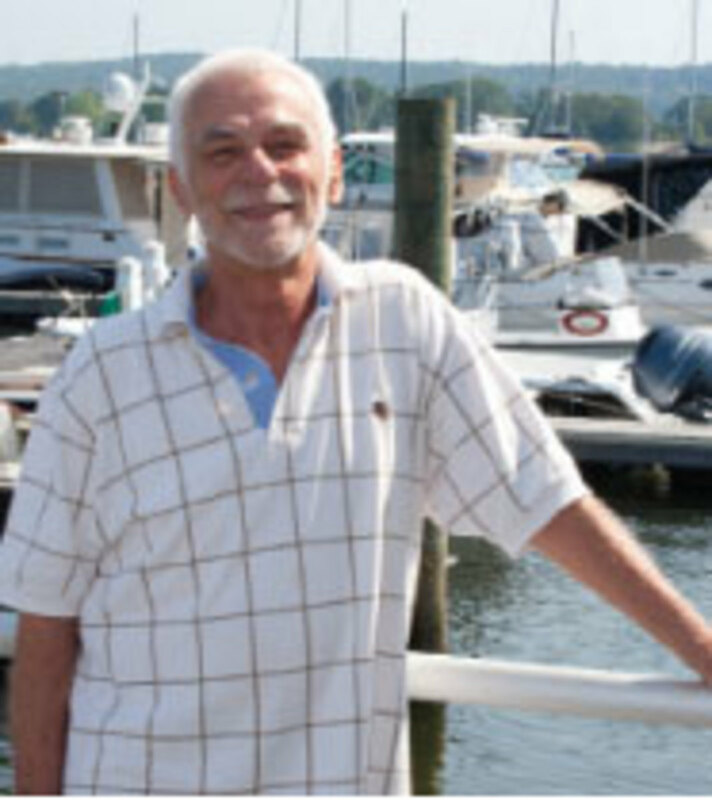 The custom design became Peters’ personal boat. The Outback 50’s utilitarian aesthetics reflect its mission as a small mother ship for the masses. 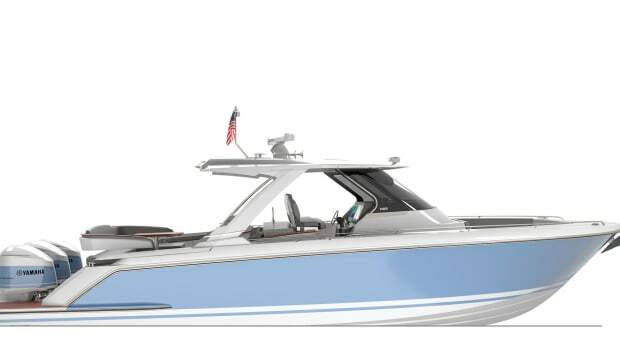 A lift-gate transom opens onto an afterdeck that’s about a third of the boat’s length, and rollers built into the trailing edge of the swim platform and deck let the owner load a PWC, tender, paddleboard, kayak and other accessories. 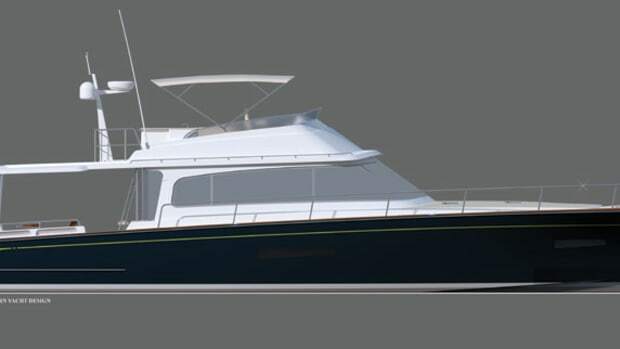 Outback Yachts is aiming the 50 at a youngish, active crowd, one that appreciates the economy and spaciousness of a traditional trawler but wants more versatility, greater speed and a fresh look. Freshness, in this case, comes from a pleasing assortment of straight lines and an upright stance. 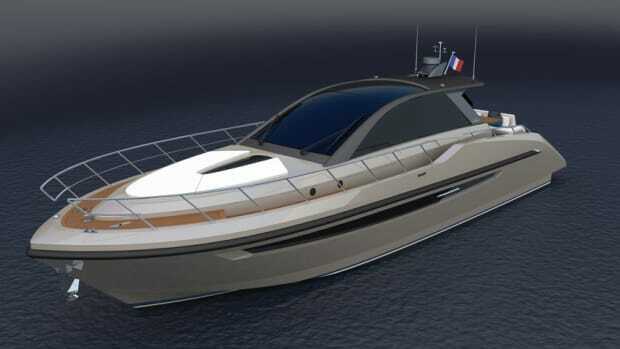 The visual impact of the swoopy shapes and extreme tumblehome common to motoryachts notwithstanding, they waste space inside the boat. That’s why Peters drew a vertical deckhouse. Within a given overall beam, the slab-sided superstructure allows side decks that are wide enough to accommodate a St. Patrick’s Day parade. The sheer line — high forward, breaking to a lower profile aft — adds character to the 50’s appearance and, more important, permits high bulwarks. You’d really have to work at falling overboard. Peters avoided the plumb stem that’s popular on many powerboat designs and instead gave the stem a subtle slant, trending aft above the waterline and flowing into a soft curve below. It wants to be a spoon bow of the sort worn by traditional sailboats but comes off as more aggressive. Her forefoot is deeper than her run, which ends in a shallow vee at the transom. She’ll slice through the water with the forefoot submerged, splitting the seas and reducing their assault on the flatter sections aft. Hard chines rise from stern to stem, providing lift and suppressing spray. A shallow keel enhances directional stability. Relatively lightweight and narrow, the Outback 50 will accelerate from rest to her maximum speed of around 20 knots without a noticeable hump. Peters has a graph from his computational fluid dynamics analysis to verify the prediction. 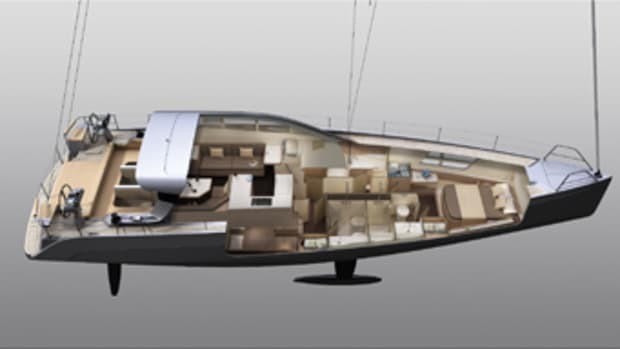 About a third of the Outback 50 is devoted to the afterdeck area. A yacht’s speed-length ratio — speed in knots divided by the square root of the waterline length in feet — determines its top speed. 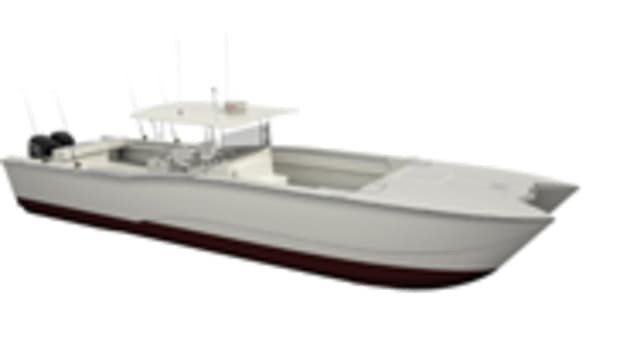 An S/L of 1.1 to 1.2 lets a hull operate comfortably and efficiently, creating a small wave train. 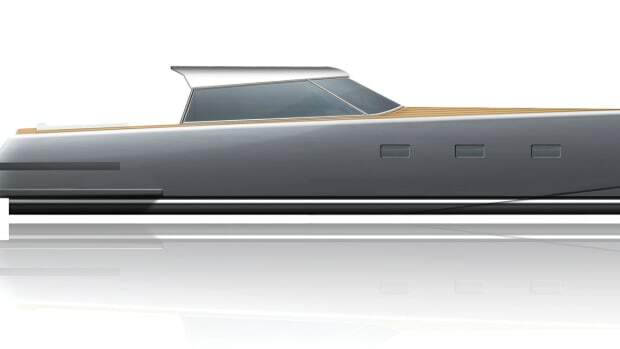 When the S/L exceeds 1.3, the hull starts to create a wave that’s longer than itself, at which point the demand for power increases radically and the bow rises as the boat tries to climb over her wake. This behavior tends to peak at an S/L of about 2. If you throw enough power into the mix and the hull form permits an S/L of 3 or higher, the hull will plane. The transition zone, between an S/L of 1.3 and 3, almost always results in awkward moments, during which the boat can’t decide if it wants to plane or stay at displacement speed. The Outback’s speed range of 10 to 20-plus knots appears on the computational fluid dynamics analysis graph as a straight line with a small hump at 12.5 to 15 knots. This translates to an S/L of 1.7 to 2.1. The trim-angle curve peaks at 2 degrees and remains flat. More typically proportioned planing hulls often run at trim angles up to 5 degrees as they transition to planing speeds. More than you want to know? Maybe, but when you’re mired in a gaggle of nautical “experts” at a cocktail party, you can drag out this analysis and quiet the lot. The Outback 50 will operate comfortably throughout her speed range and doesn’t need tons of power and fuel to do so. 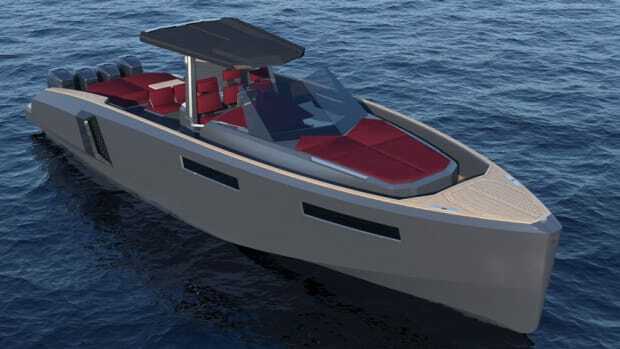 She’ll be able to cruise a few hundred nautical miles at 12 to 15 knots or more — twice the speed of a typical cruising trawler. Slowing to 8 knots can extend the range to about 1,000 miles.